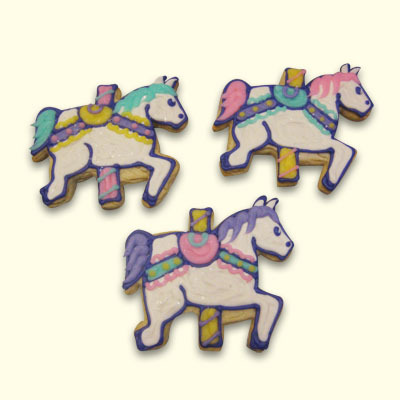 Our whimsical carousel horse cookies are so beautiful and delicious; you will want to create a celebration just to order them! Princess Celebration, Mary Poppins Tea, New Baby or any birthday celebration. 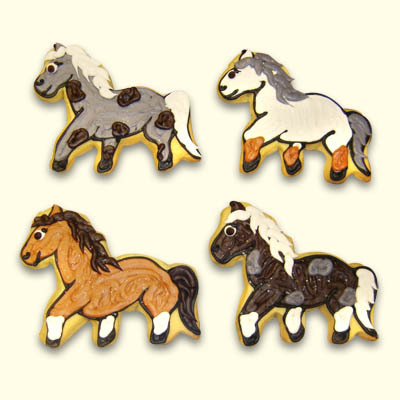 We custom create each cookie to your color, theme and specifications. Each cookie is individually wrapped and hand tied with a matching ribbon.